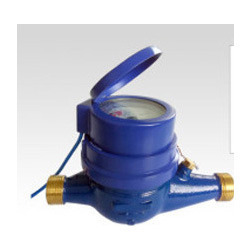 Prominent & Leading Manufacturer from Chennai, we offer multi jet water flow meter. We are a prominent organization, which is engaged in manufacturing and supplying optimum quality Multi Jet Flow Meter. A team of trained and experienced professionals is appointed by us to manufacture the offered flow meters. Post-production, we inspect these on certain parameters of quality to ensure their defect-free nature. Looking for Domestic Water Meters ?